Discussion in 'Tech news' started by RGiskardR, Sep 13, 2018. Google launched Inbox in 2014 as an alternative to the company's popular Gmail web service. 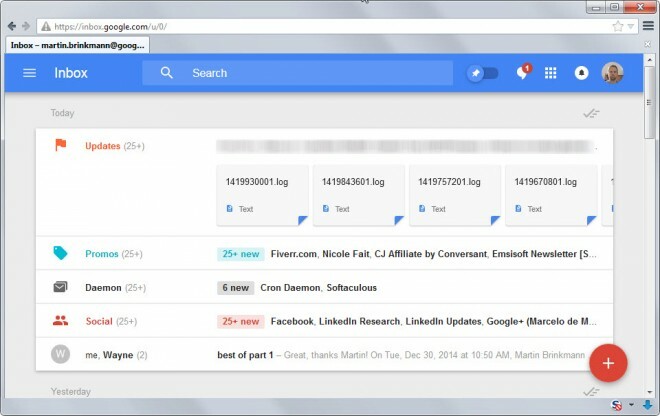 Back then, many assumed that Google would move all Gmail users to Google Inbox. Inbox was an experimental playground of sorts that Gmail users could switch to (and from) easily as it used the same account and data sources as Gmail. Google Inbox was launched as an invite-only service in 2014. One of the main ideas behind Inbox was that it was designed to make things easier for users by sorting emails into categories and user defined bundles (which work similarly to filters for the most part). When I reviewed Inbox back in 2014 I quickly realized that the service was not something that I wanted to use. It started with a single compose line for heaven's sake.